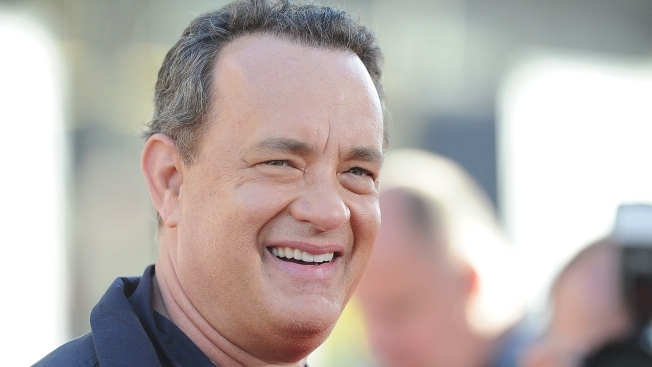 Tom Hanks will make his Broadway debut next year, starring as the late Daily News columnist Mike McAlary in a new play by Nora Ephron. "Lucky Guy" will be directed by two-time Tony winner George C. Wolfe ("Angels in America," "Bring in 'Da Noise…"). "Lucky Guy" was a return to journalistic roots for Ephron, a one-time Post reporter herself who had worked on the play for years until her death in June. Hanks, a two-time Oscar winner, had been in negotiations for the role when Ephron became ill.
Set during the scandal- and graffiti-ridden New York of the 1980s, the play tracks the life of tabloid columnist McAlary, a police reporter who won a Pulitzer Prize for his coverage of the Abner Louima case shortly before his death at 41 on Christmas Day, 1998. "Lucky Guy" will play a limited engagement at the Broadhurst Theatre, with an opening night slated for April 1. Previews will begin on March 1. Additional casting will be announced shortly, though we know the play will have a roster of 13 performers. Hanks made his professional stage debut portraying a servant in "The Taming of the Shrew" at the Great Lakes Shakespeare Festival in Cleveland. He performed during the late 1970s with the Riverside Shakespeare Company in New York before embarking on his heralded film career. Ephron famously teamed with Hanks as the screenwriter and director of "Sleepless in Seattle" and "You've Got Mail." Tickets will be available to American Express cardholders via a special pre-sale beginning at 10 a.m. on Oct. 20. The general public sale will begin via Telecharge at 10 a.m. on Nov. 3.